Do you have broken, cracked or weakened teeth? Not only can damaged teeth hurt they also can impact you professionally and personally. 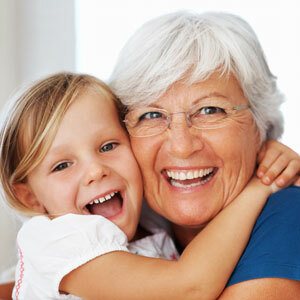 Likewise, missing teeth also may negatively affect your quality of life. Fortunately, crowns and bridges can help you change from being self-conscious to self-confident. The highly skilled and caring team members at QVC Dental Baldivis want to help you achieve a beautiful, natural-looking smile with crowns and bridges, which are custom-fabricated in Australia. When a significant portion of your tooth is too damaged to be restored with a filling, a crown, also known as a cap, may be suitable for you. The crown, which is positioned over the tooth’s entire surface, is crafted in the same shade as your natural teeth, so it blends in seamlessly. Not only does a crown look great but it also is durable and cost-effective. Perhaps you cover your mouth while you speak or hesitate to smile in family photos due to missing teeth. Dental bridges can effectively and affordably close any gaps in your smile. As is the case with crowns, your bridge will be expertly colour-matched to your natural teeth. You will be able to chew normally with your new bridge. At our practice, we always strive to make our high-quality dental care affordable to all of our patients. Contact us today to inquire about our affordable financing options for your crowns or bridges. These payment plans start at just $18.50 a week. A gorgeous, healthy smile is an excellent investment that will last for years! For more information about dental crowns and bridges, contact QVC Dental Baldivis today!